The relationship between the oral language learning process and Community Language Learning process. The oral language learning process and the community language learning process are considered to have intimate relations since they are determined by spoken English. Both of them are unique to the learners. To get further knowledge about the relationship between oral language learning process and the Community Language Learning process firstly, these two terms have to be carefully defined. As Crystal (2000) has said , spoken English is the more natural and widespread mode of transmission, though ironically the one which most people find much less familiar presumably because it is so much more difficult to see what is happening in speech than in writing. Clay (2005) stated that what may seem like casual conversational exchanges between tutor and student actually offer many opportunities for fostering cognitive development , language learning , story composition for writing , and reading comprehension. Conversation facilitate generative, constructive, experimental and developmental speech and writing in the development of new ideas. According to Holbrook (1983) there are three criteria for oral language competence, fluency , clarity and sensitivity. The responsibility of the teacher lies in helping students to develop these levels of development. Lyle (1993) stated that oral language is a very important link in the process of students learning and thinking development. Oral language provides a foundation for the development of other language skills. As children talk about themselves and their experiences, they are learning to organize their thinking and to focus their ideas. According to Curran (1986) Community Language Learning represents the use of counseling learning theory to teach language. This learning process draws on the counseling metaphor to redefine the roles of the teacher (the counselor) and the learner (the clients) in language classroom. The basic procedures of the Community Language Learning can thus be seen as derived from counselor- client relationship. Basically this learning process deals with group works. While working in groups listening is more important because the learners imitate the knower to learn a target language. The learners are grouped into a circle of six to twelve learners but the number of knower’s vary from one par group to one par students. Community language learning process is for intermediate and pre intermediate students who are struggling to produce a new language and who are not grammatically skilled. There is a distinct relationship between the community language learning process and the oral language learning process. Community language learning process and the oral language learning process depend on each other and one cannot truly exist without the other. Moskowitz (1987: 2) stated that humanistic techniques engage the whole person, including the emotions and feelings as well as linguistic knowledge and behavioral skills. According to Mackey (1972), in a language alternation , a message/ lesson class is presented first in the native language and then again in the second language. Roger (2006 : 255) community language learning is a patterned upon counseling techniques and adapted to the particular anxiety and threat as well as the personal and language problems a person encounters in the learning of foreign languages. It’s first attempt is to teach students a target language communicatively . It takes more responsibility for students learning and this way student can learn their target language. It is also a whole person learning where intellect and ability are separated from feelings. CLL interactions are of two distinct and fundamental kinds: interaction between learners and interaction between learners and knowers. Interaction between learners is unpredictable in content but typically is said to involve exchanges of effect. Learner exchanges deepen on intimacy as the class becomes a community of learners. The desire to be part of this growing intimacy pushes learners to keep pace with the learning of their peers. . This point is to be highlighted by Cook (1991 :142) the goals of language learning are those that serve the needs of the society within itself , particularly the need for different groups to interact with each other. The timing of this course will depends on the class and how quickly the learners respond to community language learning. It will also depend on how long the teacher and the students decide to spend on the language analysis. According to Ur (1991 : 120) classroom activities develop learners’ ability to express themselves through speech which would therefore seem an important component of a language course. Brown (1994) stated community language learning as an innovative approach. It is certainly unique in that it is one of the first methods to be developed, that really focused on the feelings of the students and tried to address ‘ affective factors’ in learning. In this chapter, I will elaborate the necessity of the community language learning process in the language centers of Bangladesh. With the current environment of international economy, culture, politics, drastic development, multicultural communicating converging and blending , the shortage of western culture knowledge will cause the misunderstanding even the conflict. Community language learning process has been the important part to learn spoken English. So cultivating the community language learning process consciousness should be simultaneously started with the oral language learning process. . I) In community language learning process students are considered to be ‘learner- clients’ and the teacher as teacher counselor. II) A relationship of mutual trust and support is considered for the community language learning process. III) Learners of the community language learning process are permitted to use their native language, and are provided with translations from the teacher, which they then attempt to apply. IV) Grammar and vocabulary are taught inductively in a community language learning process. V) Chunks of target language produced by the students are recorded and later listened to; they are also transcribed with native language equivalents to become texts for the students to work with. VI) Students apply the target language independently and without translation when they feel confident enough to do so. VII) Students are encouraged to express not only how they feel about the language, but how they feel about the learning process which the teacher expresses with empathy and understanding. VIII) A variety of activities can be included, for example, focusing on a particular grammar or pronunciation point, or creating new sentences based on the recordings. To master spoken English, community language learning process is imperative for a learner at the beginning of learning this foreign language. I) It develops an interpersonal relationship on trust between the counselor and the learner. II) It develops learners’ creative thinking and self evaluation. III) stimulates student’s curiosity about spoken English. IV) develops the spoken fluency and organize information about community atmosphere. V) develops necessary skills to locate and organize information about spoken English. VI) both the counselor and the learner are decision makers. The language centers are required to combine the context with student’s needs. Increasing attention is gained in the spoken English content day by day. So the community language learning process is imperative to develop oral fluency among the learners. It requires the counselor to select the spoken English materials, motivate the learners self –study and explore understanding of the cross-culture communication. But what kind of learning process the learners really need and whether the materials being used are enough for spoken English are the questions under discussion. Rivers (1987:4) defined the interactive prospective in language education : students achieve facility in using a language when their attention is focused on conveying and receiving authentic message. From the perspective of learners, one of the major problems in language learning process is to conceive the native speakers of target language as a real person, although grammar books give so called genuine example from real life. Without background knowledge those real situation may be considered fake by the learners. In addition, the aspects of language learning process would help learners relate the abstract sounds and forms of a language to real people and places. The effect of motivation in the study of second language has been proved by experts like Gardner and Lambert (1972). Motivation in second language learning has, instead, chiefly been used to refer to the long term fairly stable attitudes in the students minds. The usual meaning of motivation for the teacher is probably the interest that something generates in the students studying a foreign language. It is important for the students because they will be able to participate more freely in the activities of other cultural groups. Learning language also gives learner’s a liking for the native speakers of the target language. Doughty (1991) claimed that learners were helped to learn English by particular forms of teaching compared to other students. From the foreign language teaching concept, culture can be divided into cultural communication information and cultural knowledge information. Cultural knowledge information refers to geography, history, politics, economy and art while cultural communication information includes language of communication culture and nonverbal communication culture. Cultural communication happens within different cultural backgrounds influenced by the cultural mode. Lack of this, the misunderstanding will lead to the failure to successful communication, when being praised by others, the Asians love to be humble by saying “I am not so good” , the western will just say “Thank you”. To be able to communicate with the relatives who still speak their mother tongue builds a bridge not only to that person, but to the heritage and history which they represent. This is obvious that anything we learn gives us knowledge. Even learning the basic skills in a second language such as writing, asking for directions, calling for a cab, asking for a nearest hotel etc. are great forms of knowledge. Students who are fluent in two languages score higher in both verbal and non-verbal intelligence. They are also superior in divergent thinking tasks and in memory ability and attention span. As the admission process becomes more competitive across the board, knowing a second language adds a new dimension to an applicant’s resume. The students who have studied a foreign language perform much better than their monolingual peers on many standardized tests. If a student can speak a second language so many doors open up for his career. He could be a translator, get into politics, to be a teacher of a second language. Learning a second language is a good form of discipline. It also takes great concentration and a lot of commitment. Students studying a second language have superior cross-cultural skills and adapt better to varying cultural contexts and display greater cultural sensitivity. Second language education significantly strengthens first language skills in areas of reading, vocabulary, grammar and communication .There is an urgent requirement for qualified speakers of languages other than English in areas of science, technology, medicine and global commerce. Proficient English speaking skills can give liberation, confidence and the ability to express in English at work. It gives added benefits and more opportunities to expand career prospects. Knowing English really well can always expect to climb the ladder of success in workplace because of the capacity to deal with clients and communicate affectively with co-workers. Communication is very necessary to acquire knowledge, convey information and persuade people to what they think. It helps in developing goodwill and sustaining harmonious relationships with others at work. Real communication is what we hear with understanding. It should be the same process with the listeners when they speak in English at their workplace. In oral language learning process teachers are generally characterized as controlling most of what is said and done in classrooms. The teacher’s status may be even more elevated, in that the teacher is the only native, or near native speaker of the language and therefore is seen as an invaluable source for second language students. Teachers’ control over the patterns of classroom communication is generally maintained through the ways in which they use language. Infact, teachers’ control of the patterns of the communication determines to a large extent, how , when , where and with whom language is to be used in the classroom. Of course, this will also depend on students response to what teachers say and do. Mehan (1979) maintains that it becomes the responsibility of the students to learn to speak within the structures that teacher establishes. Probably the important component of the framework for understanding communication in second language classroom is teachers’ control . What goes on primarily in the classroom through the ways in which they use language typically is that they retain this control through a question answer mode of interaction. Belleck (1966) describes the language of the classroom as a game with rules, both implicit and explicit, that regulate the nature of classroom communication. Community language learning process is based on communication and is extremely learner- focused. In the classroom the interaction helps learners to exchange their opinion in the class , which increases learners communicative competence. Teacher acts as a counselor in the classroom to give support to their students to learn a target language. In a community language learning class listening is more important because the learners imitate the knower to learn a target language. What kind of learning process the teacher should focus on and what ratio of the learning process should be used in the class – these two questions may be deliberated upon. 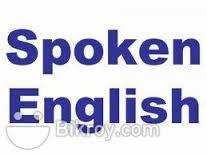 Spoken English course materials, one of the main objectives of learning spoken English, should cover the language skills for reasonable and fluent communication. In this chapter the contents of spoken English course materials in Bangladesh are shown. The relationship between the oral language learning process and the community language learning process from 20 students of language centers. Overall, the language learning process are to teach the four basic skills of language learning It’s goal shared with most of the language learning process. But the skills are approached through structure. Only English is used in business, transaction, diplomatic talks, and settling other international issue. Lenneberg ( 1921-1975) stated that language development may be viewed from two sharply differing positions. Speech must have ultimately developed from primitive forms of communication. The Bangladeshi workers who go abroad to work, because they do not know English, they are harassed , cheated, and they do not know how to protect themselves in a foreign country. The foreign private companies come to Bangladesh and they offer opportunities for poor earned Bangladeshis. Bangla should stay as the cultural language and English should be promoted to attract foreign investments and allow Bangladeshis to self teach them. According to Wenzhong (2000) the process of learning a language is the process of learning a culture as well. The language teaching process can be a culture cultivation process even in unconscious state. So it is obvious that the concept of value, thinking process , social etiquette, local customs and practices, and geographic knowledge play the catalyst role in enhancing spoken English. Owing to cultural difference, English and Bangla have formed their own modes of thought , which influence their respective people’s living way greatly, especially their own languages. English native speakers’ thinking is characterized by its linear structure which always begins with a topic sentence to point out the central idea. While the spiral structure is the unique character of the Easterners’ way of thinking . So the thinking mode difference would also reflects through the different cultures. It is worth mentioning that Bangladeshi students’ English learning commencement is earlier than that of the students of any other country . The English class is compulsory from the primary school. So this can be one reason that Bangladesh gains better realistic language environment than any other countries. In this part, I would try to evaluate the spoken English course material content of Bangladesh. Most of the learners use spoken English course materials to develop fluency in oral communication. These course materials are designed in such ways, vocabulary learning, conversation for everyday situation, some grammatical items, question and answer practice ,pair practice and there is also some part for fluent reading. Some teachers of spoken English courses and some well-known teachers have joined in the discussion about the testing and evaluation process. They unanimously agreed with inefficient and time consuming language teaching. From this language learning process students achieve high score but low communication ability. This deaf and dumb English have taken the short comings of the spoken English. The most surprising part of each unit is that of vocabulary activities , structure activities, translation, pronunciation practice and reading exercise. This huge constituent over the spoken English course materials, learners motivation to learn spoken English and the present exam system in Bangladeshi spoken English centers should be examined. With these objectives in mind I have carried out a survey among 30 students of spoken English centers and my findings. 70% students’ purpose to learn spoken English is to get the certificate that is related to the prospects of future jobs. With this exam pressure , the students become rote learners rather than enjoying language learning. The main components of spoken English comprise listening , reading and conversational English . These are routine exercise to be taken in the course material of the language centers. In many classrooms reading texts are used as an opportunity which deal with pronunciation. It encourages fluent and expressive speaking and so on. Nuttal (1982:2) the purpose of learning how to speak up a language reading aloud is thus very important especially at early stage of language learning. Good reading texts introduce interesting topics, stimulate discussions, and excite imaginative responses. It is the spring board for well rounded fascinating lessons. Reading is always considered as a vital course for learning spoken English .It is directly linked with the students’ language management and communication ability . Native speakers read a big deal of material each day depending largely on their motivation for reading. A foreign language reading is very useful and relatively painless way to improve the command over the target language. When the students have a thorough understanding of the basic structure and vocabulary of the language , they are able to tackle and enjoy authentic texts on subjects of their interest. Sometimes the teacher gives a chance to the students to speak on a certain topic. Each student for the said topic has to study a lot. It improves the student’s listening, thinking as well as speaking abilities. For the students and the teachers, a spoken English course is limited and out dated. In a spoken English course most of the focus goes to vocabulary and conversational English. The spoken English course materials play the make up role of the spoken English class for after- class activities. The students are totally dependent on the spoken English course materials. Most of the part of these course materials contain vocabulary, grammatical structure, and question answer. The only tasks of the students is to memorize them and practice fluent reading which are not beneficial to develop fluency in oral communication. Some literary items can be included in the spoken English course material which will improve their learning ability. Now I would like to do a contrastive analysis between the oral language learning process and the community language learning process. Crystal (2004) stated that in the Indian subcontinent the use of English begun through British colonialism about two hundred years back. At the initial stage the reasons behind using English linked with business among the people of different linguistic backgrounds with the development of business and communication. There was a rapid growing demand of using English and gradually became the medium of communication in the field of education, administration, politics and so on. English made the official language of law courts in 1837 and in 1844 : it declared that in case of recruitment competent English language users would be given preference. This declaration greatly influenced the educational institutions like colleges, universities, madrasas etc. English become firmly established as the academic and official language of India at the beginning of twentieth century and continued until 1947. After the establishment of India and Pakistan in 1971. English continued to play a very important role in multilingual West and East Pakistan. Although language movement for the status of Bangla language infused a strong feeling of linguistic nationalism among Bangalis and at the end government had to accept Bangla as one of the state languages even then English retained the same power and position in the field of education, administration, politics in West and East Pakistans. During this time English used to be taught as a second language. After the emergence of independent in 1971 the position of English seriously suffered because of the strong nationalistic sentiment for the Bangla language ( Rahman. 1999) . Bangla has been given the status of official language and it was made the medium of instruction in 1972. Because of the government declaration and constitutional recognition Bangla begun to be used in almost every sector of national life and at the same time English came to be treated as foreign language. Even now English is being taught as a foreign language in different levels of education. In the early seventies Charles Curran developed a new educational model which he called ‘Counseling – Learning ‘. This was essentially an example of an innovative model that primarily considered affective factors as paramount in the learning process. The counseling learning educational model was also applied to language learning and teaching, and in this form it became known as Community Language Learning. It seeks to encourage teachers to see their students as a ‘whole person’ where their feelings, intellect, interpersonal relationships, protective reactions, are desired to learn addressed and balanced. The community Language Learning process does not only attempt to teach students how to use another language communicatively. But it also tries to encourage the students to take increasingly more responsibility for their own learning, and to ‘ learn about their own learning’. So to say community language Learning process is a non-defensive manner and is considered to be very important. In this learning process teacher and student regarding each other as a ‘whole person’ where intellect and ability are not separated from feelings . The initial struggles with learning the new language are addressed by creating an environment of mutual support, trust and understanding between both “learner – clients’ and the ‘teacher –counselor’. The social dynamics of the learning group are considered as primary importance, which is realized through (valuing individual learners, interpersonal communication, and lowering anxiety to facilitate learning). In a community language learning class, students typically sit in circle , with the teacher (as counselor ) outside the ring. They use their first language to develop an interpersonal relationship based on trust with the other students. When a student say something they first say it in their native language which the teacher then translates back to them using the target language. The student then attempts to repeat the English used by the teacher , and then a student can respond using the same process. This technique is used over a considerable period of time, until students are able to apply words in the new language without translation, gradually moving from a situation of ‘dependence’ on the teacher – counselor to a state of independence. I) Tape Recording Student Conversation : Students choose what they want to say, and their target language production is recorded for later dissemination. II) Transcription : Teacher produces a transcription of the tape recorded conversation with translations in the mother language – this is then used for follow up activities or analysis. III) Reflection on Experience: Teacher takes time during or after various activities to allow students to express how they feel about the language and the learning experience, and teacher indicates empathy. IV) Reflective Listening : Students listen to their own voices on the tape in a relaxed and reflective environment. V) Human Computer: Teacher is a ‘human computer’ for the students to control ; the teacher states any thing in the target language the student wants to practice, giving them the opportunity to self correct. VI) Small Group Tasks : Students work in groups to create new sentences using the transcripts, afterwards sharing them with the rest of the class. The counselor starts with students sitting in a circle around a tape recorder to create a community atmosphere . The students think in silence about what they’d like to talk about , while the counselor remains outside the circle. To avoid lack of ideas students can brainstorm their ideas on the board before recording. Once they have chosen a subject the students tell the counselor in their L1 what they would like to say and the counselor discreetly come up behind them and translate the language chunks into English. With higher levels if the students feel comfortable enough they can say some of it directly in English and the counselor give the full English sentence . When they feel ready to speak the students take the microphone and record their sentence. Here they will work on pace and fluency. They immediately stop recording and then wait until another student wants to respond. This continues until a whole conversation has been recorded. Next the students discuss how they think the conversation went. They can discuss how they felt about talking to a microphone and whether they felt more comfortable speaking aloud than they might do normally. Next they listen to the tape and describe their conversation. The counselor only intervenes when they ask for help. The counselor sometimes gets students to analyse the language the same lessons or sometimes in the next lesson. This involves looking at the form of tenses and vocabulary use and why certain one is used, but it will depend on the language produced by the students. In this way they are totally involved in the analysis process. The language is completely personalized and with higher levels they can themselves decide what parts of their conversation they would like to analyse, whether it be tenses, lexis or discourse. Students were encouraged to ask questions about any items. Students were encouraged to copy sentences from the board with notes on meaning and usage. This became then course material for home study. The timing will depend entirely on the class, how quickly they respond to community language learning, how long the teacher or the students decide to spend on the language analysis stage and how long their recorded conversation is . The counselor should be careful however that the conversation is not too long as this will in turn make the transcription very long. In this chapter, I would like to discuss why community language learning process has shortfall in learning spoken English. I) In the beginning some learners find it difficult to speak on tape while others might find that the conversation lacks spontaneity. II) The counselors can find it strange to give students so much freedom and tend to intervene too much. III) In the effort to let students become independent learners, counselor can neglect their need for guidance. IV) The learning process assumes that learners intrinsically want to learn the new language, and that is not always the case. The teacher’s role derives from the functions of the counselor . The counselors’ role is to respond calmly and nonjudgementally in a supportive manner , and help the client try to understand his or her problems better by applying order and analysis to them. One of the functions of the counseling response is to relate affect … to cognition. Understanding the language of feeling, the counselor replies in the language of cognition ( Curran, 1976). In the early stage of learning, the teacher operates a supportive role providing target language translations and a model for imitation or request of the clients. Later, interaction may be initiated by the students, and the teacher monitors learner utterances providing assistance when requested. As learning progresses , students become increasingly capable of accepting criticism, and the teacher may intervene directly to correct deviant utterances, supply idioms, and advise on usage of grammar. The teachers role is initially linked to that of a nurturing parent. I) Some of the teachers believed that spoken English classroom should be full of vocabulary, grammar and the text and exercise. It is also believed that the entire class time should be utilized to do grammar and language drills. II) The worry about the foreign language learning might have negative influence on the students. III) The consciousness of the learning spoken English should be increased at the beginning. IV) It cannot ensure students’ achievement of a sufficient level of proficiency . V) The oral language learning process contains nothing in its essential theory and principles that deal with the learners themselves. The teachers should bear in mind from the beginning that the problems mentioned above cannot be ignored, and always try to change the teaching techniques to adjust the different background of the language and the students’ command of language and educational level. What is interesting about the ways in which teachers negotiate their roles in relation to language is the difference between the trained teachers and the untrained teachers. The trained teachers see themselves as transmitting a language to the students by means of a technique and the process which do not match their present level of competence. On the other hand, the untrained teachers find that the oral language learning process works best, provided that the students learn oral language independently for fluent communication – based on the teachers who would still assume an authoritative position. Currently, more focus for the teachers goes to what to teach, how much to teach and how to teach the spoken English part. I) Community language learning and culture can be taught together. A language teaching provides background and context that helps the learners visualized the reality. This seems the most common situation for teaching language in many countries. II) Community language learning can be taught in a situation which prepares a student for visit or work in a new environment. III) This process can be used in more negligible institutions, where the students can ill afford the cost of tuition fee for any such courses. With different teaching situation, teacher should be aware of the students’ need regarding the context they are in. For example , English drama, news, cartoon are helpful for advance learning. The literary works are full of culture, philosophy, civilization which are the most vivid materials to understand the other nations social life. It also reflects the infinite language treasure. Every language learner should try not to get too much influence from mother tongue. Stern (1992) emphasized six categories which an average language learner is likely to required: places, individual person, and way of love, people and society in general, history, institutions and finally art, music, literature and other achievements. Alongside linguistic knowledge, students should also familiarize themselves with various forms of non-verbal communication, such as gesture and facial expressions. The spoken English teaching should be always put in the right place, either for teachers’ self- improvement or students’ comprehensive language acquisition. Rardin (1988) claimed that communication, defensive learning prevents a learner from speaking a foreign language fluently although he knows the grammars and linguistic theory. Community language learning process enables the teacher to focus on the learner while the students immediately react positively to work in a community. They take exceptionally well to peer – correction and by working together they overcome their fear of speaking. Quieter students are able to offer corrections to their peers and gladly contribute to the recording stage of the lessons. It’s a learning process which encompasses all four skills while simultaneously revealing learners’ style which are more or less analytical in their approach to language learning. To solve the communication problem and less misunderstanding the learners need to understand the comparison between oral language learning process and community language learning process. And the teachers should be sensitive to the learners’ fragility so as not to cause them to loose their motivation. Sweet (1845-1912) Jesperson ( 4860-1983)and Palmer (1877-1949) , elaborated principles and theoretically accountable approaches to the design of language teaching programs , courses , and materials, though many of the specific practical details were left to be worked out by others. Brown, D. (1994) .Principles of Language learning and Teaching(3rd e.d.) New York :San FranciscoStateUniversity. Cook .V. (1996) Second Language Learning and Language Teaching (2nd e.d.). London Arnold. Coher, A.D & Macaro , E (Eds.) (2007) Language learning Strategies. New York : Oxford University Press. Doff, A (1988). Teach English . New York : CambridgeUniversity Press. Ellis, R . & Barkhuizen, G . (2008). Analyzing Learner Language. New York : Oxford University Press. Johnson, K. E (1995) Understanding Communication in Second Language Classroom. J.C .Richards (Ed.) New York : Cambridge University Press. Koba, N, Ogawa, N, & Wilkinson, D ( 2000). Using the Community Language Learning Approach to Cope with Language Anxiety. Nagasaki: SeyboldUniversity. Littlewood, W. (1984). Foreign & Second Language Learning. New York : Cambridge University Press. Lynch, T. (1996). Communication in the Language classroom. New York : Oxford University Press. Nagaraj, G. (1996) . English Language Teaching Approaches Methods and Techniques. (2nd ed. ) . New York : Oxford University Press. Shameem, N. & Tickoo, M . (Eds.) . (1999) .New Ways in Using Communicative Games in Language Teaching . Bloomington: Pantagraph Printing. Ur, P. (1996) . A course in Language Teaching. M. William & T. Wright (Eds.) New York : CambridgeUniversity Press.